Honestly, for all that we retailers talk about preparations for the holiday season, it’s really the advertising platforms like Google and Facebook and the marketing agencies who are raking it in. We retailers try all the marketing methods under the sun: Google Adwords, Facebook ads, emails, Instagram ads, Reddit ads, SEO, content marketing, re-marketing and cart recovery programs. You’ll get exhausted long before you exhaust all the possibilities. But one underused marketing avenue that we’ve seen prove returns for online stores time and time again is gift cards. Yes, that’s right – it’s a marketing tool. Gift cards aren’t just another product, they’re a powerful marketing tool in their own right. You just need to know how to use them, and by the end of this article that’s exactly what you’ll be able to do: increase conversions with gift cards. Before we get to all the ways gift cards can increase your customer base, it’s worth mentioning that if you don’t yet offer them for your store you’re almost certainly decreasing your customer base. Consumers want gift cards. They want to buy gift cards: For the 2015 holiday season, 74.3% of people the National Retail Federation surveyed said they were planning on buying gift cards. The average person would buy 3.4 cards and spend an average of $153.08 in total. They buy LOTS of gift cards: Research done by CEB Global revealed that 2015 gift card sales in the U.S. reached $130 billion, a 6% increase from 2014, and by 2018, gift card sales are predicted to reach $160 billion. See those spikes? 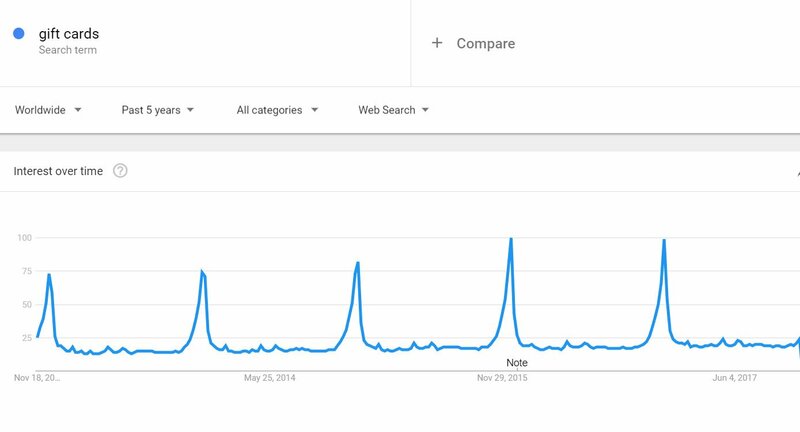 Those are the main holiday seasons. So if you don’t have gift cards available for your ecommerce store, you are sacrificing significant demand and a tremendous opportunity. 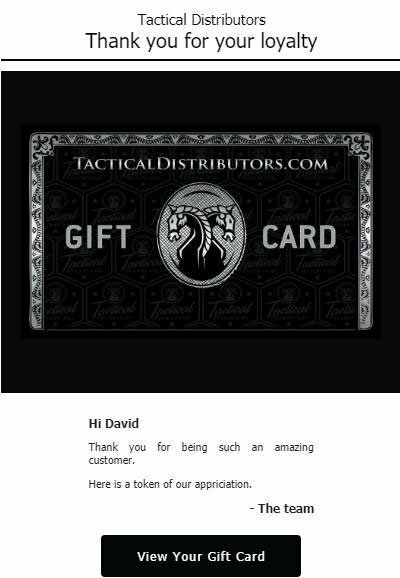 Once you have your gift cards, present them on-site as the ideal gift: personal and always appreciated by the recipient. After all, if you gift your loved one with a specific item, he or she will know you put thought into it, but s/he may not always like the gift. If the giver chooses a generic gift card (think Amazon), then in all likelihood the recipient will get an item s/he’s happy with, but s/he may wish you had invested more in the gift selection process. Retailer-specific gift cards cover all the bases. They’re focused and specific, yet simultaneously allow for freedom to choose a gift that fits the recipient. Often you can enhance the personal feeling by customizing the e-card or announcement that is sent with the gift card. This is the gift card page of chic baby supply store, Milk Snob. 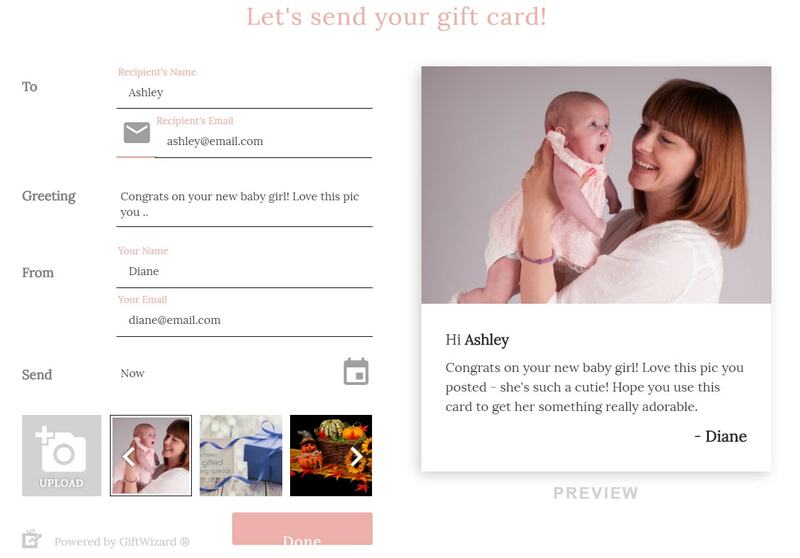 Click the “Send Gift Card” button and you’re taken to a page where you can personalize the gift card announcement email that will be sent to your friend who just had a baby. 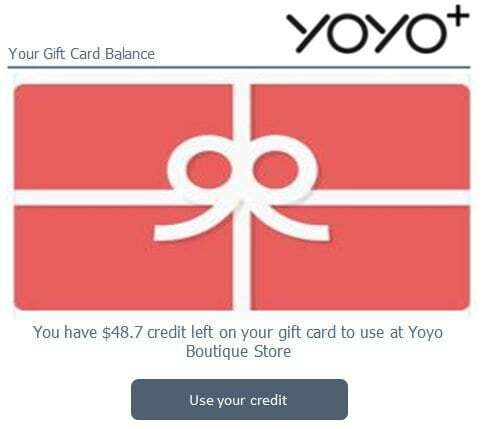 Fill in the fields on the left hand side and you can see the preview of the gift card on the right hand side. This looks thoughtful and personal, no? But you can do even better. If you can upload your own picture for the card, why not upload one of the photos your friend has posted on Facebook or Instagram? 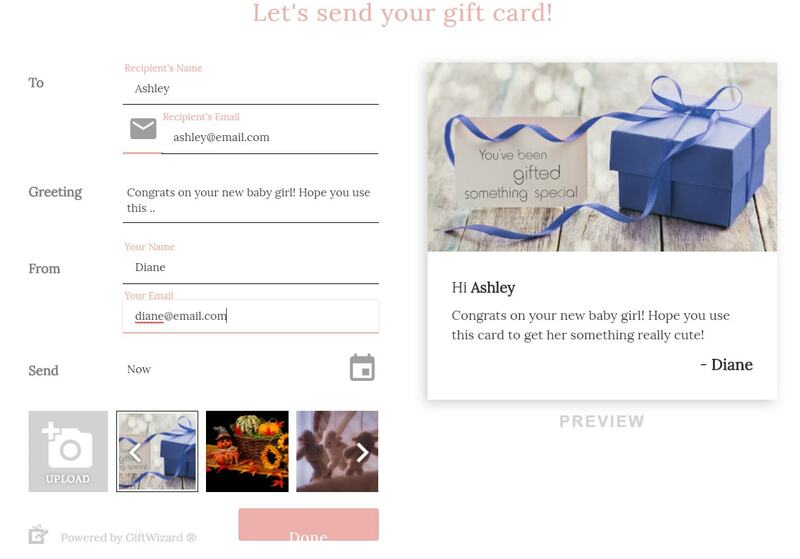 Give your customers the opportunity to personalize the gift cards they buy. 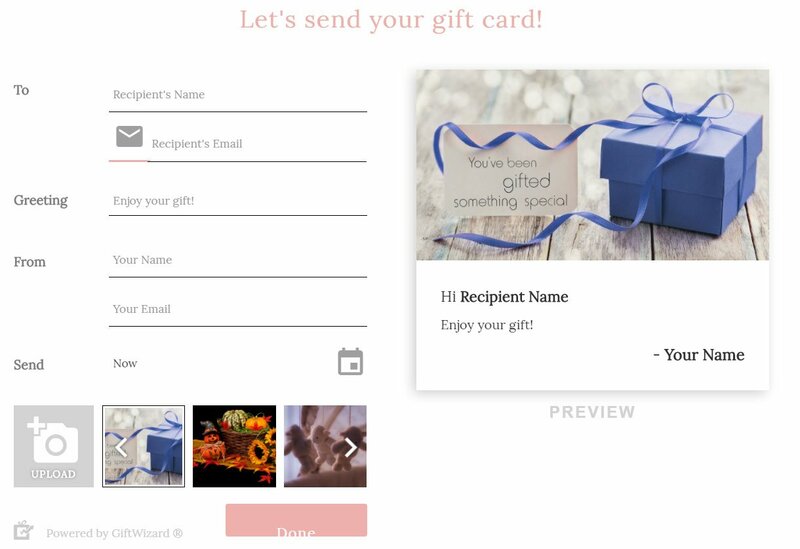 Mention that as a feature of your gift cards in your sales copy: “Your recipient will get exactly what she wants while appreciating the effort you put in to make it just for her”. We learn that shared joy leads to more joy – and when we have a particularly happy experience, we have the impulse to involve other people in that happiness and expand its ripples. What’s the takeaway? The more positive emotions you can inspire in your recipient, the greater the chance that she will want to share it with others. The most sharing with others – the more user generated content (read: free publicity!) for your ecommerce store. Encourage gift cards to be as personalized as possible to maximize the giving and good feelings between the giver and recipient. You could even give suggestions of relevant photos they could upload. 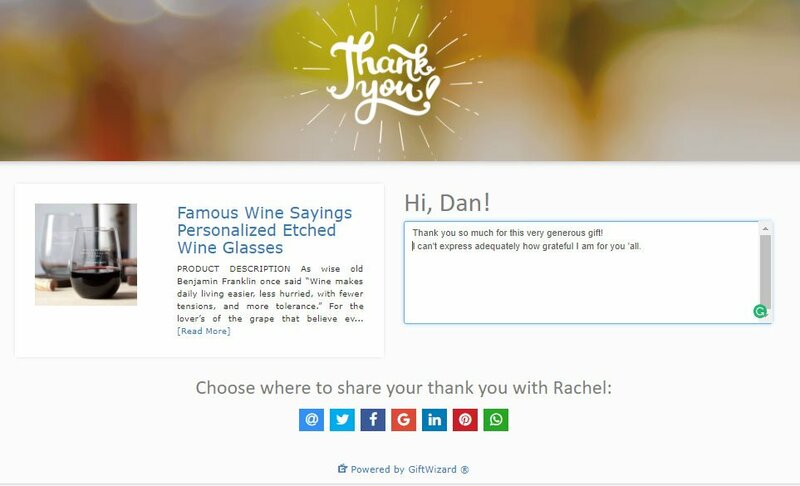 You could also streamline sharing by including a way to share the experience directly from the gift card email. By way of your gift card, your customer just introduced the recipient to you. Now it’s time for you to get to know each other. When the recipient has to peruse your site to select his gift, he earns a deeper awareness of your product selection rather than if he had just received a gift from your store. Just getting a gift card with “free money” on it already gives the recipient positive emotions toward your store, now build on that by providing a good customer experience. If the experience is excellent they’re likely to return again as customers, and sometimes you don’t even need to wait that long because the recipient will spend over the amount of the gift card. Respondents of a survey by First Data reported that gift card recipients spent an average of $23.41 beyond the original value of the gift cards they received. Help your recipients get to know you – and like you – right off the bat. Even if you can’t swing that, at least have a welcome page acknowledging that they got here because of a gift, and give some guidance as to what’s available in your store. As we just mentioned above, a branded gift card is not only a product that you sell, but it is a valuable introduction to a new potential customer. They may not have been aware your store existed, and now they are. Even if they knew you existed, they may not have known the extent of what you offer. Now they do. Next time they need something that you sell, you might be on their list of places to search. But don’t leave that to chance. Use helpful emails to stay in touch, increase brand awareness and keep your business top-of-mind. The most natural emails to send your gift recipient are reminders of the balance they have on their gift card. If they don’t purchase a gift right away – or if they do but still have money left on their card – you can remind them every so often about the purchase potential they have waiting. Use these emails to express your brand’s personality. Also use them to showcase items they might like, based on their prior purchases or the items they’ve viewed in your store. Don’t be pushy, but make sure you maintain a presence in their inbox and you’ll maintain a presence in their mind. Set up and send those reminder emails. Automate the process as much as possible so it runs without your involvement. Use a service such as Jilt to send automated reminder emails. Keep your visual branding and your “voice” consistent throughout the emails. You’re making them aware of your brand and who you are. Make sure that comes across clearly. Customer category #1: Oldies but goodies = Customers who bought from you long ago and continue to buy from you until this day. Customer category #2: Oldies but stale-ies = Customers who bought from you long ago and are still on your email list but haven’t purchased anything from you in quite some time. Customer category #3: Lurkers = Those potential customers who sign up to your email list and sit there like bumps on a log. They may, on occasion, click through to your site, but they never actually purchase anything. Gift cards can move customers from categories #2 and #3 to category #1, which is exactly where you want them. Specifically: low value, bulk campaign gift cards. Email campaigns that target segments of your list which haven’t made a purchase in a while – or never purchased at all – and send them a complementary low value gift card (say, $10) are powerful. They remind stagnant customers about your existence, inspire positive emotions associated with your brand, and give them a reason to go to your site (and buy). As mentioned above from the First Data study, they will often end up adding more than the value of the gift card to their order, so the $10 you give away can bring in significantly more revenue. 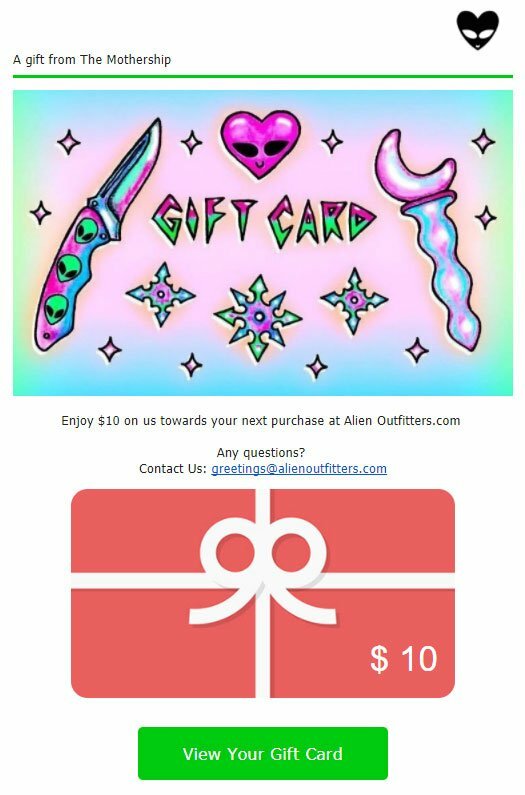 Alien Outfitters had tens of thousands of subscribers on their email list, but discounts and coupons weren’t bringing in the sale numbers they were hoping for so they decided to try a bulk gift card campaign. They sent thousands of $10 gift cards to subscribers based on behavioral and statistical triggers. The campaign drove incredible engagement from the audience – 15.8% CTR, compared to 0.8% in previous campaigns and a large amount of enthusiastic “Thank you!” emails. Even better: most people who activated a $10 gift card bought $50-100 products, generating a 264% return on Alien Outfitters’ investment. Purchases directly attributed to gift cards accounted for 18.9% of the store’s revenue during the campaign. This strategy can also work to increase your email list by giving low value gift cards to new signups. While that wasn’t the main purpose of Alien Outfitters’ campaign, it still had that effect: their email list grew by nearly 5% during the campaign. If you want to increase your email list by giving cards to new sign-ups, publicize the offer as much as possible. Encourage your email list to share. Share on social media – both organically and through paid promotion – and place an exit pop-up with the offer on your site. Gift cards can be sources of incredibly valuable marketing data. The reason behind why people send gifts to each other can inform you about the relationship between them and the special events that are meaningful in their lives. If you collect and store that data effectively, you can use it later to do smart marketing to either party. That’s one-on-one marketing, but you can also use the data to discover the demographics and product preferences of new audiences (the gift card recipients) and use that to form marketing audiences you build and campaigns you run on platforms like Adwords and Facebook. Find a gift card provider that stores this valuable demographic/relationship/event data and makes sense of it. Harness the data and insights to power automated, event-triggered, email marketing campaigns. The BlackHawk Network is one major ecommerce player that offers e-gift card solutions, including analytics and the ability to send custom email campaigns. Our Shopify app GiftWizard also uses the comprehensive purchase and demographic information collected to power smart marketing through email and other platforms. Use the recipient email data to create custom and lookalike audiences on Facebook. This is an audience that your gift card buyers are pointing out as an ideal audience for you, and you may not be marketing directly to them yet. If you offer the ability to purchase gift cards at a discount (for example, pay $85 for a $100 value card), you instantly increase their appeal. 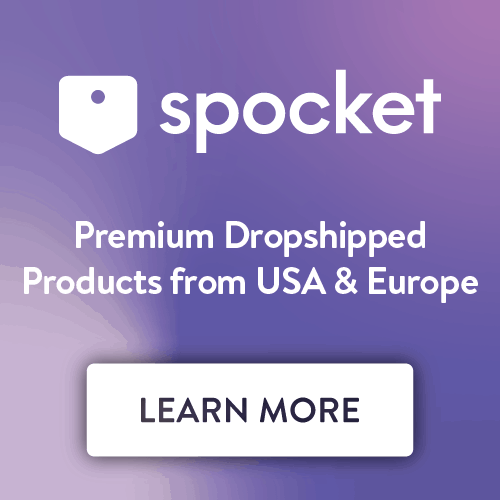 Gifters will jump at the chance to give a larger gift than they could have afforded at a price they can now afford, companies will prefer to purchase discounted cards for their employees, and your customers may even buy cards for themselves so they can get more purchasing bang for their buck. Sell discounted gift cards, either individually or in packages. A “Buy 4 Gift Cards, Get 1 Free” package from Milk Snob, for example, would be great for those young adults whose friends keep having babies. You know there’s going to be another baby coming along soon, so you might as well have the gift card on hand, especially if you can save money on it that way. Give bonus cards, or, as e-gift card provider Cashstar calls it, a “give-one-get-one initiative.” An offer to “buy a $100 gift card for your friend and get a free $10 gift card for yourself” is a double incentive. The buyer is more motivated to purchase the gift card for their friend – and they’ll come back to buy at your store, likely spending more than the $10 on their gift card. Promote discounted gift cards to frequent buyers themselves as a way to save money on purchases. Rewarding your customers for their loyalty is a win-win-win situation. They win because they get a treat; you win because their loyalty is now that much stronger and you also win because they may share the experience and give you some free PR. Sending low value gift cards to customers who match a certain purchase pattern is a great loyalty reward that can often result in more purchases. Set up automatic triggers such as when a customer spends X amount of dollars or makes Y number of purchases within certain time frame, they’re automatically emailed a thank you note with a gift card. Decide what the triggers will be to give a customer a frequent purchaser status. Set up automated emails to deliver gift cards as loyalty rewards. Make it clear that it’s a gift – use images of wrapped gifts, balloons, confetti and supporting text – so your customers truly appreciate it. The marketing power of gift cards can increase your customer base and profits, both directly and indirectly. 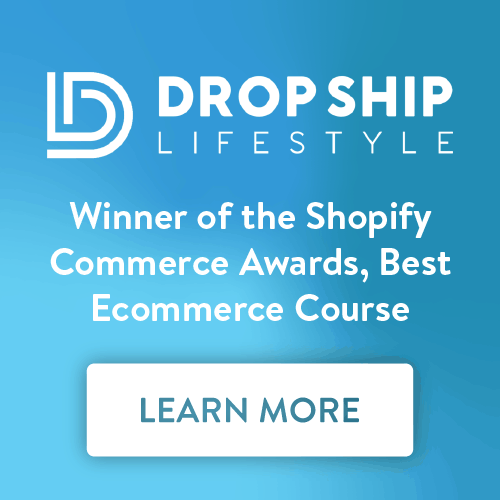 Givers introduce your ecommerce store to new customer audiences. Personalization can create positive experiences that your recipients want to repeat and share with their circles. Surprising low value gift cards can increase customer loyalty and word-of-mouth marketing among repeat customers, or awaken dormant customers. Invaluable data can inform audience targeting and marketing campaigns. 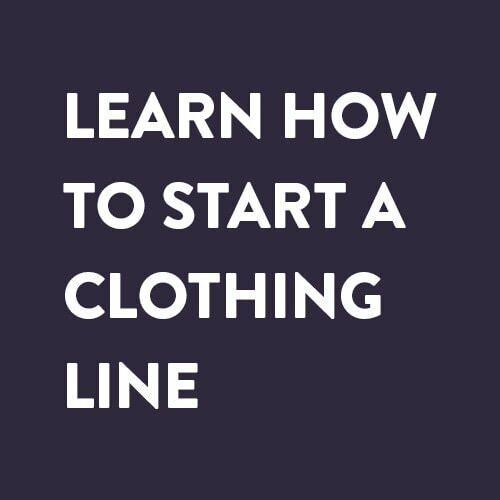 You just have to know how to do it. And now you do. Go harness the marketing power of your gift cards. 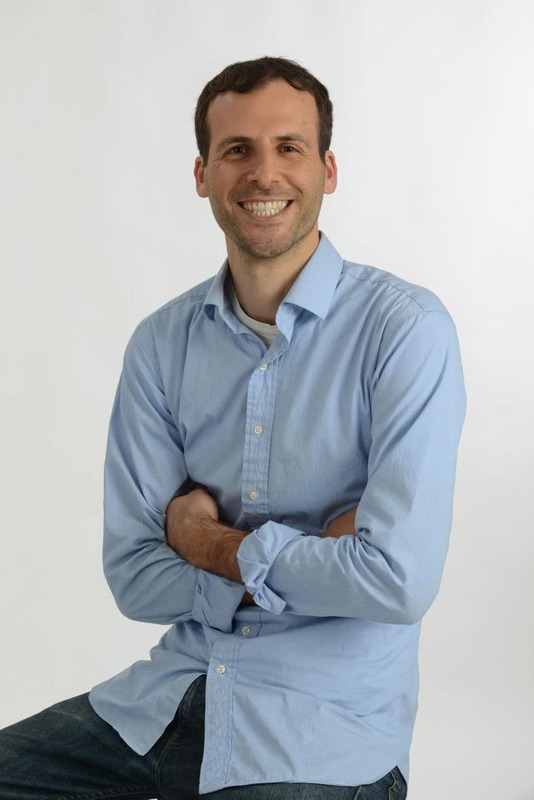 Yair Miron is the co-founder and CEO of GiftWizard, an online gifting solution which empowers retailers to harness the hidden power of gifting to dynamically expand their customer base and increase their revenue.